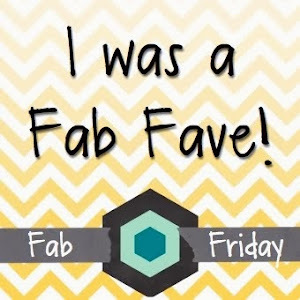 I love a good card challenge and this weeks Fab. Friday challenge is just awesome!!! I have always loved the design team for this super fun Card Challenge! That being said, I have not played along with them in a very long time!!! It was the perfect sketch for a modern card I had been working on!! Yeppie!!!!! I am having so much fun playing with color combinations using the New color Granny Apple Green! Today’s color combination would be perfect for modern Christmas, spring, and summer crafting!!! I really like the fresh feel of Granny Apple Green, Poppy Parade, and Gray Granite!!! I know, I’m supposed to be convincing you that Granny Apple Green is the boom! Because, it truly is!!! But, I just have to tell you today’s card features my most favorite new item! It is the Subtle Dynamic Textured Impressions Embossing Folder!!! This embossing folder is beyond amazing!! It leaves a soft texture that is somewhere between linen paper and textured wallpaper from days of old. This picture does not do this embossing folder justice! It really is beautiful, promise!! So, the fresh and modern color combination and the super cool embossing folder were combined with a great stamp set Varied Vases!! The first thing was to stamp the outlines of the vases with Gray Granite. The second step was to use Poppy Parade and Granny Apple Green to add color! No card is complete with out a coordinating envelope!! The envelope was created using the same process as the background of the card. First stamping the gray outlines of the vases. Then randomly filling in the vases with color! I’m so glad you chose to spend a few minutes with me today! I will be back soon with more fun inspiration for you all! Till then, go and live creatively! Oh, I LOVE this! What a great color combo, and I loved your tiled background with these fun vases – especially the envelope flap! Thanks so much for playing at Fab Friday!